Jutta Ditfurth studied Sociology, Politics, Art, Philosophy,... in Germany, Scotland and the USA. She became a sociologist in 1977 and has since then been very active in the city of Frankfurt. She already became quite active at the beginning of the seventies: in the undogmatic Left, the women's movement and the movement against nuclear energy. Jutta Ditfurth was a cofounder of the German Green Party. But in 1991, she decided to leave this Green Party (die Grünen) to establish a party for the Ecological Left ( die Ökologischen Linken). Certain decisions had been made that had been destroying the party's alternative culture, step by step. Up until then, the Green Party had been an alliance of tendencies ranging from reformist to revolutionary. But at that time, all revolutionary positions and radical positions had been given up. There had been different left tendencies within the Green Party, there was an anticapitalist tendency that opposed the capitalist kind of economical growth and the social injustice inherent to it. There was a corruptive careerism going on in the large Green bureaucracy, which led to many problems in and outside the Green movement of Germany. 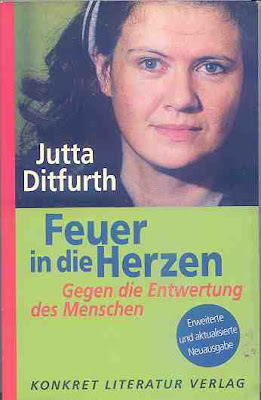 Jutta Ditfurth later wrote this book about the issue. Before the Green Party was established, environmental and ecology associations, anti-nuclear (energy) groups, the women’s movement, the third world movement, and other alternative groups had not shown much interest in discussing the idea of a new political party (in West-Germany) that would bring these movements together. The social movement activists of the 1970s felt it was more important to establish public legitimacy, and for this they relied on journalists and often even Social-democratic members of city councils, among others. The demand for “an independent newspaper” was met in 1977 with the founding of the Tageszeitung (Taz) following the example of the French newspaper Libération. The idea of organizing regional and national networks of local activist groups was very much in the air in the 1970’s. The Rote Armee Fraktion (RAF) had also been very active in Germany, with the support of the “intelligence services” of East Germany. In 1976, Ulrike Meinhof (of the RAF) was found dead in her cell, hanging from a rope made from jail towels. An investigation report concluded that she had hanged herself. The RAF described itself as a communist "urban guerrilla" group engaged in armed resistance, while it was described by the West German government as a terrorist group. 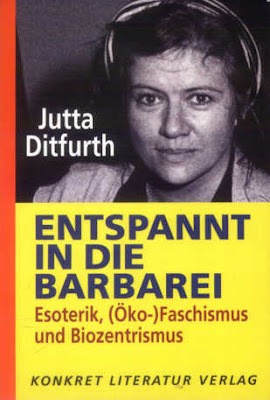 Jutta Ditfurth wrote many texts and books as a journalist, she has also been a novelist. She has remained politically very active. In november 2007, a book will appear about Ulrike Meinhof and her involvement with the Rote Armee Fraktion: “Ulrike Meinhof. Die Biografie”. Jutta Ditfurth is the writer. Before, she has written much about ecofascism, the German Greens and left-wing theory.